It was once said that a workman is only as good as his tools. So it stands to reason that some of the most famous artists of our time have carved out their iconic sounds by carefully customising their instruments. Here’s a rundown of five unique guitars and how each one helped their talented owner achieve greatness. 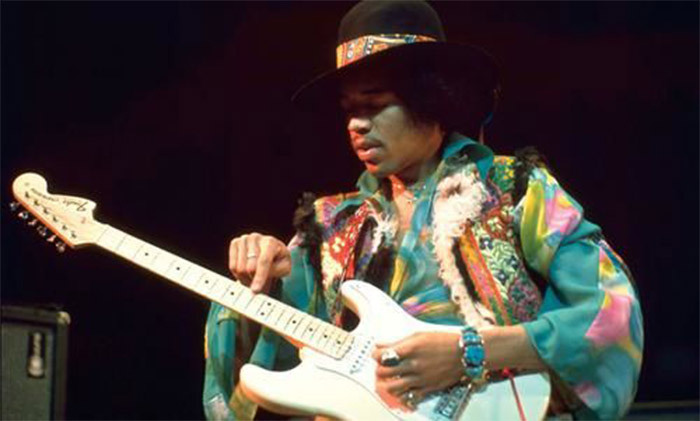 No respectable list of iconic guitars could start without mentioning Jimi Hendrix’s Fender Stratocaster! The guitar that will be forever attributed to Jimi was a right-handed model that he turned upside down because he was left-handed. The story goes that Jimi did this because he couldn’t find a left-handed guitar at the time. This led to his bridge pickup becoming slanted at a different angle, helping to carve out what we now know as Jimi’s iconic tone. The legendary blues artist B.B. 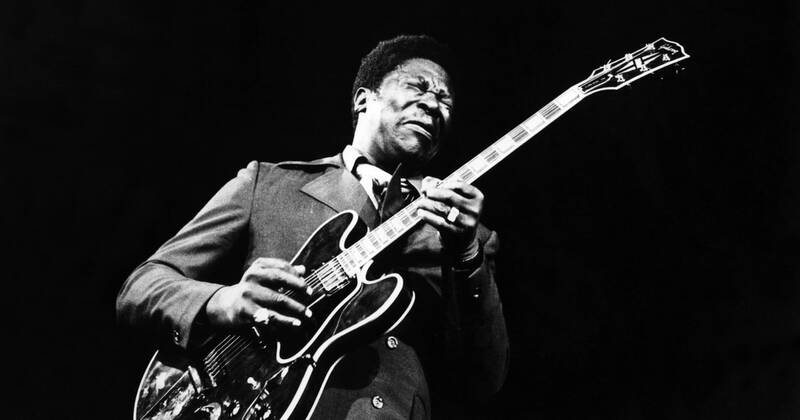 King was known for using a Gibson Epiphone, which he fondly named ‘Lucille’. In 1980, Gibson produced a signature model of the ES-355, made to King’s exact specifications. King had alterations made to the Lucille replica, including optional stereo wiring for the removal of the F-holes, in order to help prevent feedback while performing. If you’re a big fan of B.B. King’s sound, the signature Lucille model is still available to buy for around £2,999! Eddie Van Halen created probably one of the most iconic custom guitars of all time, known as ‘Frankenstein’, or the ‘Frankenstrat’. The Frankenstrat was Van Halen’s attempt to combine the sound of a classic Gibson guitar with the physical attributes of a Fender. The guitar monster is composed of the body and neck of a Northern Ash Fender Stratocaster and a PAF humbucking pickup from a Gibson ES-335, crudely screwed sideways into the bridge. Eddie didn’t stop there, though! To compliment his Frankenstrat, he modified his amp and the voltages in his pedals to produce one of the most recognisable sounds of the 80s. Paul McCartney bought his beloved Hofner Bass – nicknamed the ‘Beatles bass’ and ‘Cavern bass’ – in 1961, after failing to save up enough cash for a prized Fender. The instrument looks similar to a violin, with the hollow body making it light and easy to play whilst also giving a rich tone similar to that of a traditional double bass. 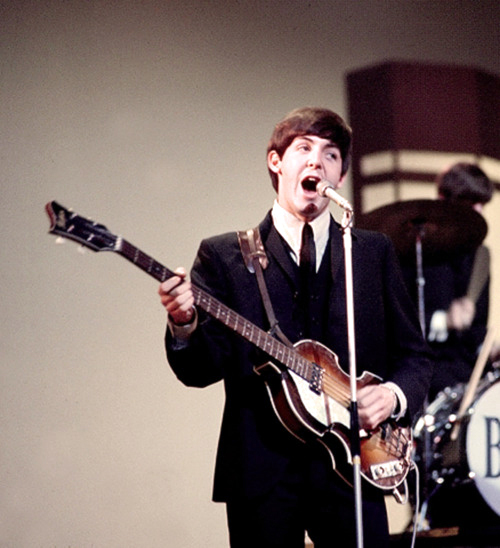 McCartney has become synonymous with his use of the Hofner 500/1. During the early years of his Beatles career, McCartney used two different kinds. The most prevalent of these two was the 1963 model, with a second pickup being closer to the guitar’s bridge than that of his earlier 1961 model. Stevie Ray Vaughan is another blues powerhouse with a guitar synonymous with his music. Stevie played a variety of guitars during his career, but the guitar he named aptly as ‘Number One’ – also referred to as his ‘First Wife’ – is the one most associated with his iconic sound. Stevie believed this guitar to be a 1959 Fender Stratocaster. However, it was later found to be a 1963 model, even though it mysteriously had 1959 pickups! Nonetheless, Stevie had a variety of customisations made to Number One, from using a left-handed vibrato tailpiece similar to Hendrix, to using heavier strings (0.13 to 0.58), which were rarely used outside of the Jazz genre. Many people have attempted to recreate SRV’s sound, but as with every entry on this list, the most important component is the guitar’s player and their unique playing style. Your guitar might not be classed as iconic by the outside world, but it probably means a great deal to you. If that’s the case, why not insure it? Insure4Music covers theft and accidental damage of your equipment so you can have peace of mind around your prized possession. Get a quote today!